Remember the excitement of your first ball game at the stadium? Watching our favorite sports teams can be a memorable bonding experience. 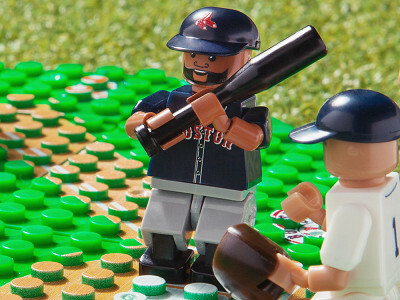 With OYO figurines, you can bring home some players (okay, tiny versions of players) to continue the fun. 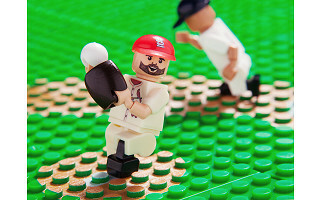 OYOs are sports minifigures that feature the team colors, logos, and numbers of superstar athletes, as well as the likeness of their smiling faces. The detail on each brings them to life—rotating forearms, bending knees, and equipment like mitts and helmets. There are even integrated OYO playing fields for these guys to play on. When Founder Tom Skripps took his son to Fenway Park, he searched in vain for a suitable Red Sox souvenir. 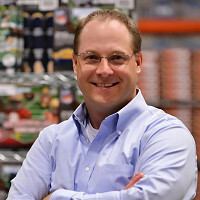 After the game, Tom set out to create a memorable toy that would allow parents and kids—any fan, really—to own a tiny piece of their favorite team. OYO players are compatible with other building block toys like Lego, K'nex, Mega Blocks, and more. Whether you play with them or simply collect them, these treasured keepsakes help you capture the fun of the game. Welcome to the OYO Sports launch! 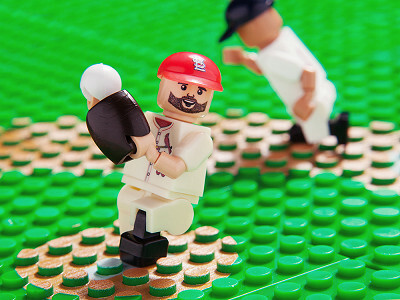 We're excited to share our MLB licensed minifigures and buildable toy sets on The Grommet today. We are standing by for any questions or comments! 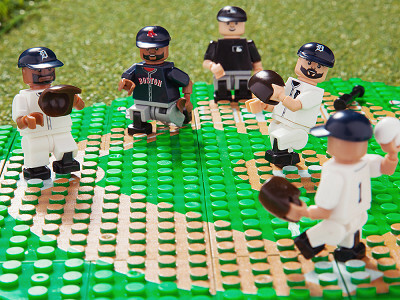 Impressive, these look like Lego figures with a Lego platform for the infield. Are these figures compatible with Lego products? @Daniel thanks for the question! They are indeed compatible with most major building block brands. However, our figures are different with proprietary bendable knees and poseable arms! I was wondering the same thing as Daniel. Thanks! @Kerry I hope I answered yours and @Daniel 's questions, please let me know if there's any other questions you may have! any eta on Houston Astros being available? @Dawn We started with a small selection to see if there was interest, we're glad there is! Appreciate your feedback and hopefully you will see Astros OYO minifigures on The Grommet soon enough! @Ryan just a suggestion, but I hope you will consider making some of the Hall of Fame players like Craig Biggio! Hi Dawn, they have made Hall of Fame players so that is certainly a possibility. Perhaps after he is inducted in July! You're kidding, no Chicago Cubs? @Robert We hope we can get you your Chicago Cubs OYOs on The Grommet soon enough! We're glad you have interest! Sorry, Robert. We here in Boston still haven't gotten over Jon Lester signing with you guys. But seriously, Ryan is right. We wanted to gauge interest with these teams and will look to add more in the future. Stay tuned! Just as seriously, take good care of Jon Lester. @lucinda We will try to provide you with your favorite team and players soon enough! Hi Lucinda, how about we make Phillies OYOs available if you give the Red Sox Cole Hamels? Deal? @Brian Love the enthusiasm! We hope to provide everything you could possibly want for your favorite player. We need the Houston Astros! I know, not the most popular team in baseball........but someone has to pull for them and my son has since he was 5 and he'll be 25 this year! Hi Susan, don't worry, we will be looking to add them in soon. With that farm system you got there, plenty will be pulling for them in the next few years. Jose Altuve is tailor-made for this! @Susan always bringing innovative ideas to the table! Will have to see if anyone makes an OYO cake pan for my next party...or even cake toppers! We will try to get you your Astros players soon enough. @Ryan and maybe you would consider making some of the Hall of Famers, like Craig Biggio, even though he is not a current player! Hi Dawn, it is a great idea. I'm all for the 2015 HOF class getting made. I'll buy a Pedro Martinez OYO in a second. Are college football teams available? Hi Laverne, they might be as we move closer to football season. For now we are sticking with baseball as Opening Day approaches. Hi Joann, OYO is perfect for ages 6+. I am living proof of the "+" part. Because they are also great collectibles, they are ideal for all ages. @Joann Mike is right, 6+ but definitely for all ages! I know friends and family of all ages that own these. Great for a gift, desk ornament, and just about everything else! Thanks for the kind words, Shannon. 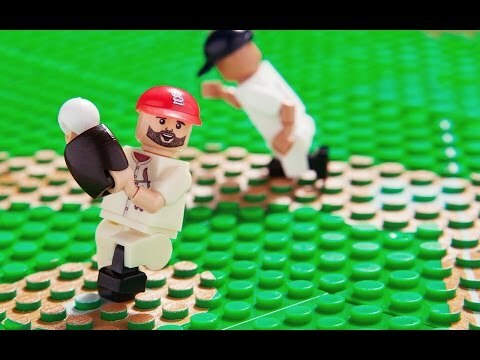 Given your roster update today, OYO might have to add a Will Ferrell minifigure to the mix. @Mike We are glad you enjoy the product!!! We hope to impress you in the future with even more cool products from OYO Sports! What about the Cleveland Indians??? We may not win pennants, but we are loyal fans here and I absolutely think this idea is amazing!! Bring on the Cleveland Indians!! What about basketball? Cleveland Cavaliers and Lebron James!!! Cleveland sports fans are the best and we will buy your toys!!! Come on!!! Hi Trish, as mentioned above, additional teams could certainly find their way on site on the future. I'd take a Terry Francona! As of right now OYO actually doesn't make NBA minifigures, but that doesn't rule it out moving forward. Stay tuned!